Find the perfect gift for everyone on your list at macys.com! Plus, order before 12/22 to receive your items by Christmas! Save an Extra 15% Off during the Merry Christmas Sale at macys.com. Use promo code DEALS at checkout. Offer valid 12/25. Last Minute Gift Sale at macys.com! Order by 5pm ET for Guaranteed Christmas Delivery. Shop Men’s Belts and Wallets, starting at $14.99. Offer Valid 12.17-12.25. Save 40-50% off Entire Stock of Bath Collections at jcp.com. Valid thru 12/30/11. Save 60% on Gold Jewelry at jcp.com. Offer valid thru 12.31.11. Save 40-50% on Boots for Women, Men, and Juniors. Plus Free Shipping on all shoes. Free Shipping with Home Free on Amazing Online Specials at Walmart.com! Shop with a Walmart Credit Card and enjoy special 6 month financing – Learn more! Find Great Gifts for the Entire Family with Amazing Online Specials at Walmart.com! Check out this Season’s hottest Toys at Walmart.com – just in time for Christmas! Take an extra 15% with almost all regular and sale price items when you use your Bloomingdale’s credit card. Valid 12.16.11 to 12.24.11. Holiday Shipping Deadline – Order by 12/22 at 5:00pm ET for Express Shipping at Bloomingdale’s. Save 30-50% on a great selection of merchandise in Womens, Contemporary, Mens, Kids, Shoes, Handbags, Jewelry, and Accessories at Bloomingdale’s! 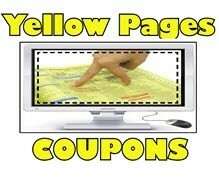 Valid 12/25/11-1/2/12. Save 25-50% On Select Merchandise at Bloomingdale’s! Valid 12.16.11 to 12.24.11. Holiday gifts for every one on your list.